Music has an amazing ability to capture, change and improve mood, or bring a particular place or time to mind in an instant. Have you ever been working out in the gym, almost finished your set, when one your favourite songs comes on and keeps you going that extra bit longer? A study in 2010 found cyclists work much harder when listening to up tempo music. Have you put on classical music when studying to help with concentration? In 2011, a study found that using music to help improve work ethic and output only works when the listener is indifferent to the sound, or does not know it very well – instrumental, minimalist music or non-verbal work in particular. Or have you ever heard a song you associated with a special person, place or circumstance, moving you to tears? An analysis run in 2013 found humans used music as a self-referential tool, using it to change and amplify their mood. With access to music now so easy, there’s no excuse to live a silent life! We can now create whole playlists, buy brand new vinyls, old vinyls and access music in seconds – so use this amazing tool to help improve your daily routine. At Happy Voices this week, so far we have had a whole selection from Rodgers and Hammerstein, Les Miserables and Heathers, to work from Glen Campbell and Etta James this week: ballads, duets, hymnal work, jazz and country. And that’s just two days! Find your song today – what suits your mood? Why are you singing it? What story do you want to tell? 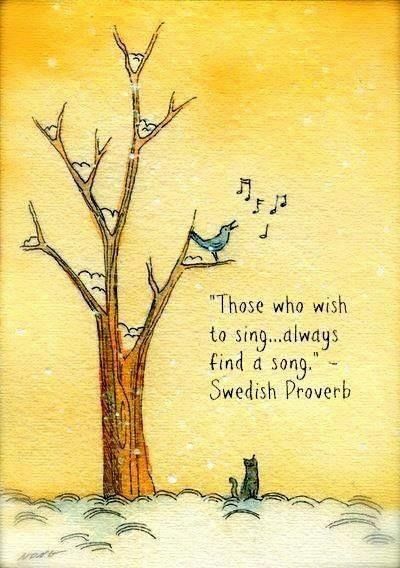 Ask yourself, what’s your song today?